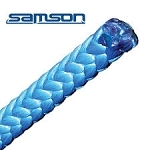 Samson ArborMaster 16 strand 1/2" Climbing Rope is a premium quality 16 strand line offering a smooth surface for "footlock" and exceptional durability. 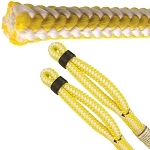 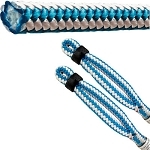 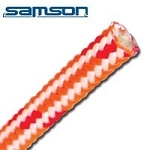 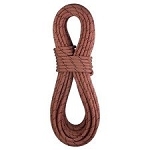 Samson ArborMaster 16 strand 1/2" Climbing Rope is made from specially treated polyester with a stabilized nylon core. 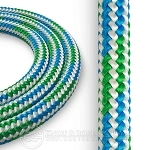 ArborMaster climbing is identified by the colors of the rope -- we have BlueStreak: alternating blue and white strands and Red/Black/White.